Peter has over 30+ years’ experience in the financial services industry. He holds a Diploma in Financial Planning and obtained his Masters of Financial Planning in 2004 from the University of the Sunshine Coast. Peter joined Elders Financial Planning in 2008 and was the recipient of the Elders Financial Planning CEO Award in 2014. 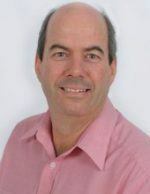 As an Authorised Representative, Peter believes in helping his clients build a comprehensive complete program to maximise their earning potential during their working years, as well as helping them with their retirement planning, superannuation, managed investments and estate planning needs. He achieves this by striving to provide quality advice, personalised service and practical ideas to deliver superior solutions.